Tuscany boasts a 390 kms coastline, which adds up to 630 kms if we include the islands. And the variety of sights and sea views and main beaches is such that it will satisfy even the most demanding traveller. It is also well-suited for family holidays. What makes Tuscany unique is just this variety of ever-changing views: mountains, hills, and a crystal-clear sea with white sand, prized every year by the “blue flags” that signal uncontaminated, clear waters. From the Apuan riviera – sea and mountains you can behold together at a single glance -near the Cinque Terre, and the Lido di Camaiore, down to the Maremma coast, where, in a short space, small hidden coves with free beaches give way to large white beaches of fine sand, well suited to families and children. In Tuscany, there is so much choice that you can take your pick. You can choose a holiday in Versilia, a perfect destination for celebrities and intellectuals, by now internationally renowned for its events, or along the Pisan coastline with the wild beaches of the Migliarino National Park, or go down to the “Etruscan” coast in the south. This coast extends from Livorno to San Vincenzo and Piombino. Here tall cliffs follow golden beaches shaded by pine forests, for all the length of the coastline. 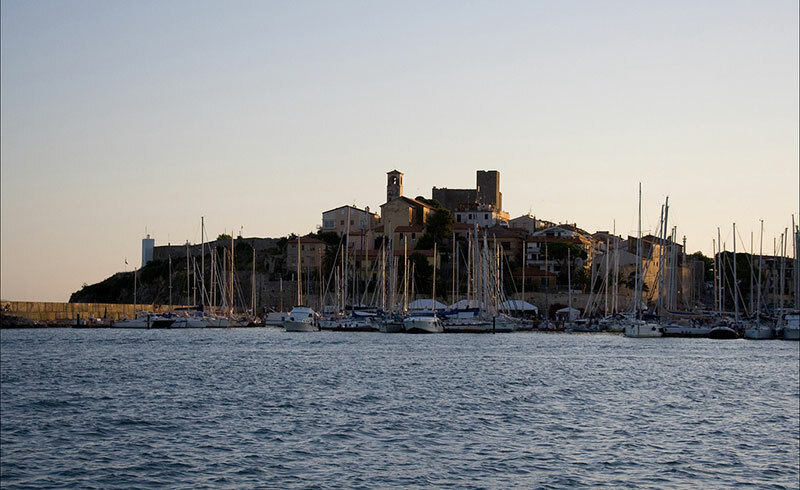 From here the “wine road” starts, leading through a countryside where such prestigious wines as the Ornellaia and the Sassicaia were born – wines that have in them the fragrance of the sea and the Mediterranean vegetation. Here the Etruscan have left, even on the seaside, important relics of their civilisation. One can find beautiful free beaches of sand dunes, but also bathing establishments that boast a long tradition. Finally one reaches the Maremman coast, that opens up on the Uccellina National Park, and on the Argentario promontory, a steep green headland jutting out into the sea, down to the fashionable beaches around Capalbio. And then, there are the true gems of the Tuscan archipelago: Elba, Montecristo, Giglio, Giannutri, Pianosa… all islands of incomparable beauty. On these coasts, you will be able to enjoy all kinds of water sports: scuba diving, sailing, snorkelling, windsurfing and so on, thanks to the many nautical clubs and establishments in the area. Whatever the season for your visit to Tuscany, your holiday won’t be complete unless you go near the sea also for a romantic walk at twilight, or for a candlelit dinner by the seaside and its murmur – and you’ll be able to taste the genuine specialties and great flavours of a unique fresh seafood cuisine. Below you’ll find the description of my five favourite seaside resorts in Tuscany, perhaps not the most famous one, but the most particular ones, that have in them the essence of the Tuscan sea. 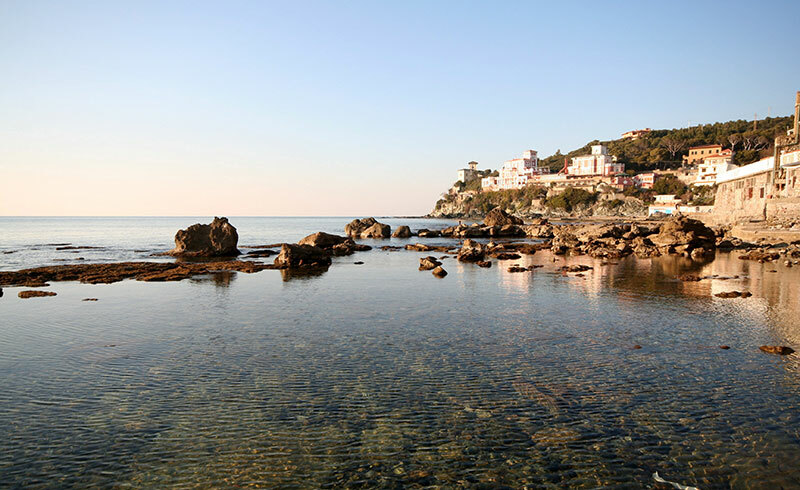 A few kms from Livorno, on a small promontory, you’ll find this “pearl of the Tyrrhenian sea”, so called because of its beauty, that inspired poets, and celebrities, since the fifties. It is a tiny village between the pine forest and the sea, rich with small coves and crystal waters, some cliffs (the last offshoots of Livorno’s Romito beach), and sandy beaches. It is quite crowded in summer, and perhaps you can enjoy it at its best on clear winter days, when walking along the promenade becomes an intimate, romantic experience – one that you can best conclude in one of the many seafood restaurant on the seafront. With its five kms of golden beaches and the Apuan Alps in the background, Forte dei Marmi enjoys a wonderful location that turned it, since the nineteenth century, into an elite seaside resort, the destination of aristocrats and industrialists. 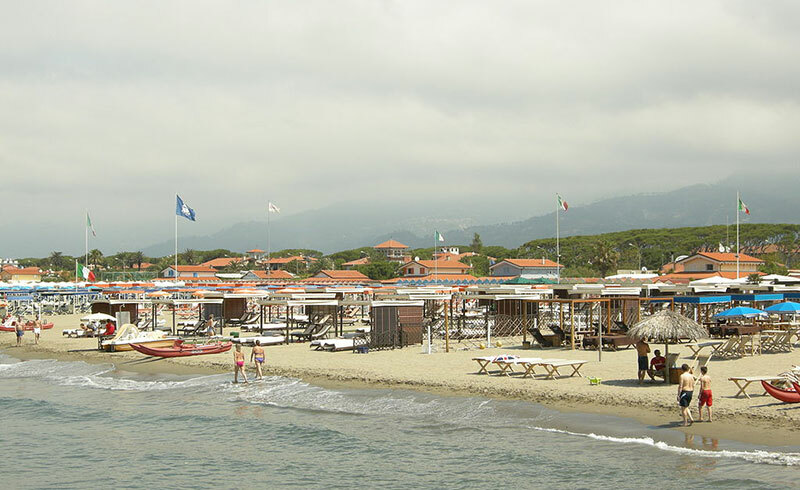 Less known than the nearby town of Viareggio, Forte dei Marmi boasts to the present day a beautiful seafront with a white beach, palms and imposing art deco and belle époque buildings, that attracts select and fashionable tourism, and people interested in both wild shopping and suntanning. In the cold season, Forte dei Marmi becomes animate every weekend, with flea markets, festivals, people taking walks and enjoying their aperitifs. Those who do not care for the crowd will be able to appreciate better this small town during the week, when its beauty becomes intimate and open only to few connoisseurs. 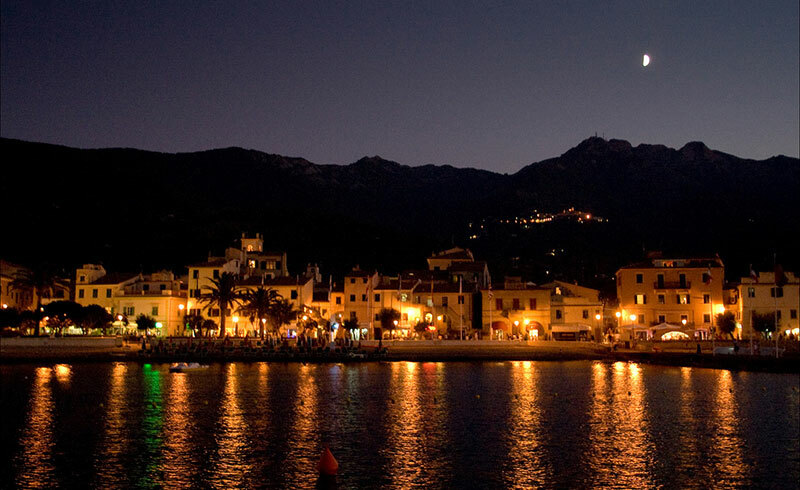 Castiglione della Pescaia, a medieval village lies on top of a hill along the coast near the city of Grosseto and the renowned touristic harbour of Punta Ala (Porto Ercole is also not far.). Its very steep, cobbled alleys lead up to a Castle that dominates the whole, ample inlet, where the blue of the sea mixes with the green of pine trees and oleanders. The panorama is really worth the hard walk, and wandering through the narrow, geranium-adorned streets feels like being in some fabulous place. 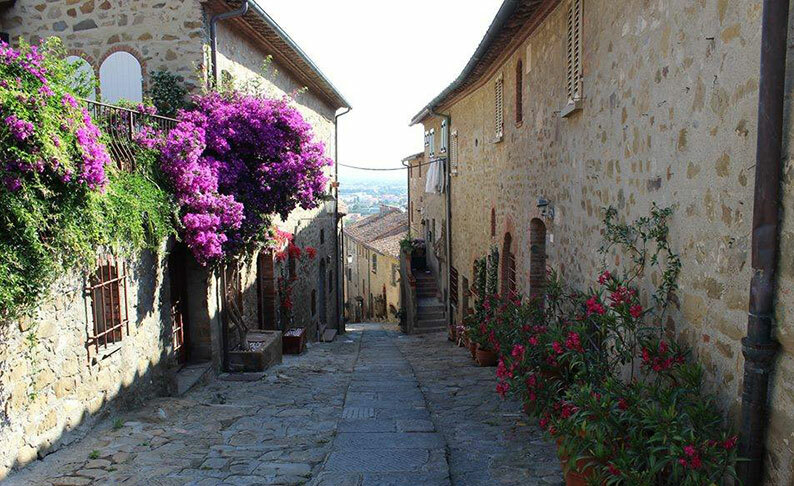 Down below, you will see the more modern part of Castiglione, with the small touristic harbour and long sandy beaches: an ideal place for your summer holidays in Tuscany with children, but also a place to be enjoyed in every season for its enchanting atmosphere. Talamone is right at the entrance of the Natural Park and Dorset Reserve of The Uccellina, and has all the characters of a small fishermen’s village, surrounded by ancient walls and dominated by the Rocca of the Aldobrandeschi family. If you want a holiday on the Tuscan seaside, you can really take your pick here. To the north, you’ll find coves with steep cliffs and crystal water under the Argentario Mountain, to the south beaches on beaches of fine white sand, and luxuriant pine forests with their generous shade, as is typical of the zone around Capalbio. If you are just visiting for a day, take a pause for lunch, you will taste very fresh fish, from the open sea or from the nearby Orbetello Lagoon. And after lunch or dinner, a walk up to the Rocca: the panorama will leave you breathless. 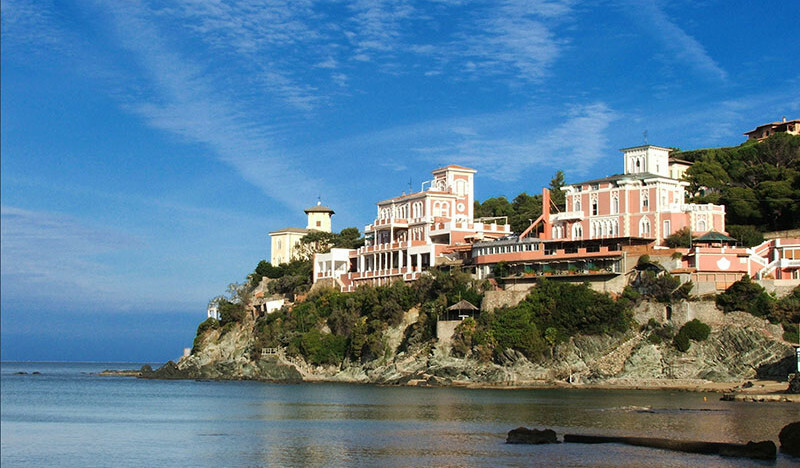 There are various bathing resorts in the Island of Elba, all very nice, but Marciana Marina is my favourite one. The smallest of Tuscan villages faces here right of an inlet of a perfect turquoise colour, with different nuances according to the season. The sand is white. The narrow, little streets meander gently through pastel colour palazzi, and end on to a seafront full of nice stalls and tamarisks, from which you can also admire the imposing Pisan Tower. Among these alleys, the particular atmosphere of the small fishermen village is still very present. The ideal place for a relaxing holiday in any season of the year. Tuscany Suits You offers you complete assistance for building your travel in Tuscany, reservations of hotels etc., cars with or without a driver, advice on places to visit with classic and unusual tours and one day excursions, events not to miss, or simply on the right tavern where you can taste the original Tuscan cuisine. Five great typical events in Tuscany you just cannot miss! Truffle: the Food of Kings! San Miniato National Market Festival. Every tour can be adjusted to your preferences (we can add services, change the order of the places to visit, or make a special price if you have your own car or bike, or prefer to rent one to be on your own, and so on). Fill out the form and personalize your travel to your wishes, we’ll send you a tailor-made proposal. If you have any special request, please tell us!